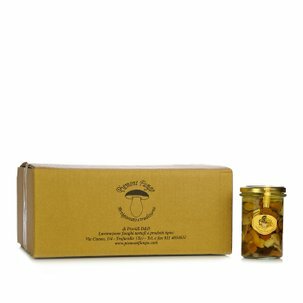 70% porcini mushrooms, olive oil, lemon juice, sage and rosemary: the finest high quality ingredients are used to create this store cupboard essential, which is perfect as an appetiser or an original side dish. 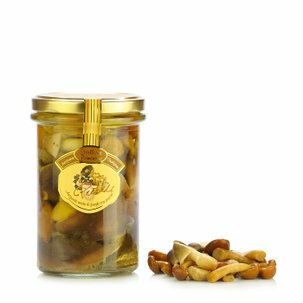 As processing is entrusted to the experience of Dario Previdi and Piemont Fungo, the excellent quality and strong, intense flavour are guaranteed. 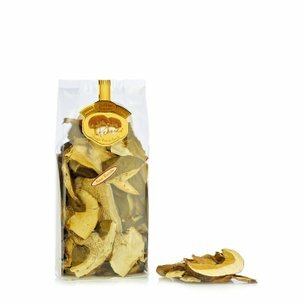 Eataly is offering you the chance to bring tradition to your table with this pack of 12 jars of Dario Previdi Porcini Mushroom Carpaccio. Make the most of it! Ingredients Porcini Mushroom Carpaccio 280g:porcini mushrooms (Boletus edulis and related group) European 70%, olive oil 30%, lemon juice, salt, sugar, sage, rosemary, ascorbic acid. Acidifier: citric acid; antioxidant: ascorbic acid. 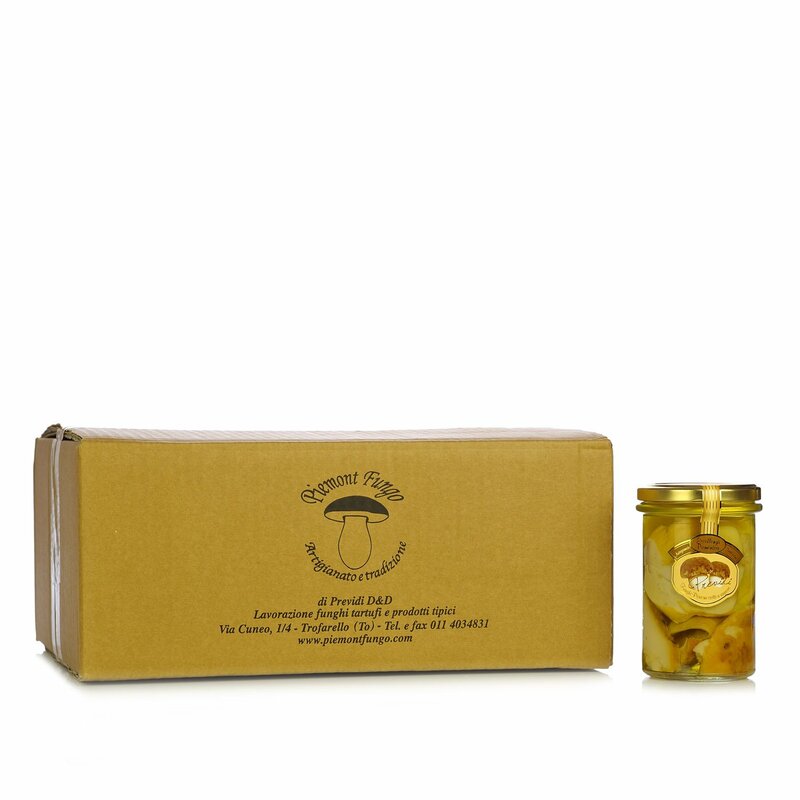 The young Dario Previdi from Turin has a company that specialises in the transformation of mushrooms: steaming ensures the mushrooms appear healthy and natural. 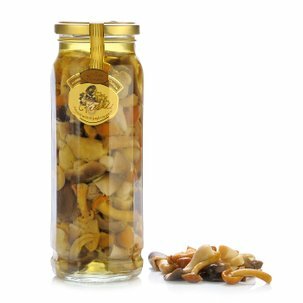 In fact, without the use of brine, the product is enhanced by its lightness and digestibility.